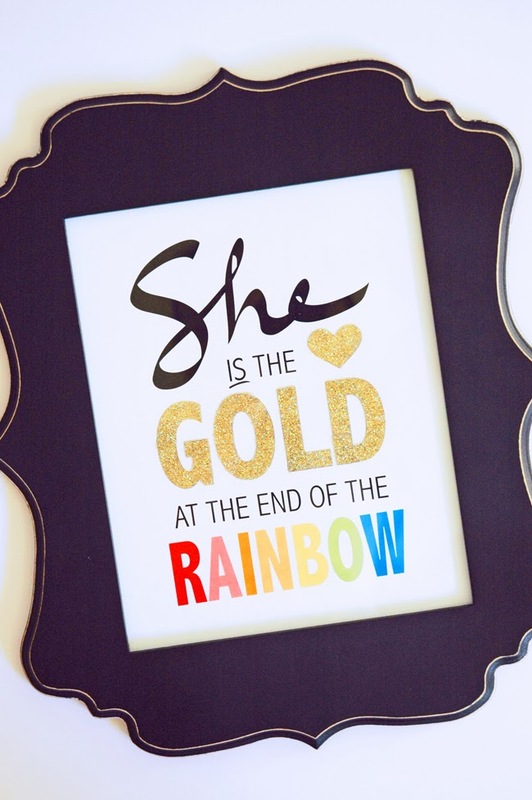 I just LOVE this Art Print because it's a such a simple reminder of our self-worth and the power we have as women to truly be the gold at the end of the rainbow! I hope you love it too because this is the FREE printable I've designed for February as part of the MONTHLY BLOG HOP I'm participating in this year with 7 other fabulous bloggers. (See January's collection of FREEBIES right here). I really can't decide which one I like better. 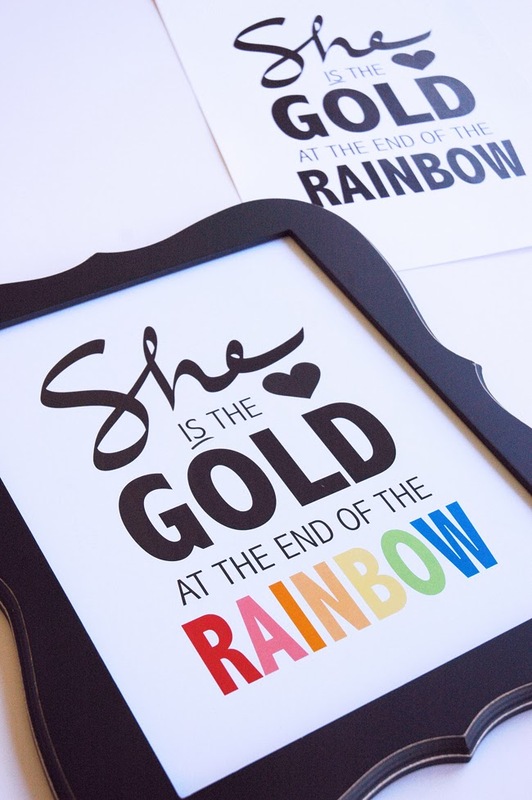 The simplicity of the art print without the glitter is just as appealing as the "show-stopper" quality the sparkle adds to it. You decide what works best for you. 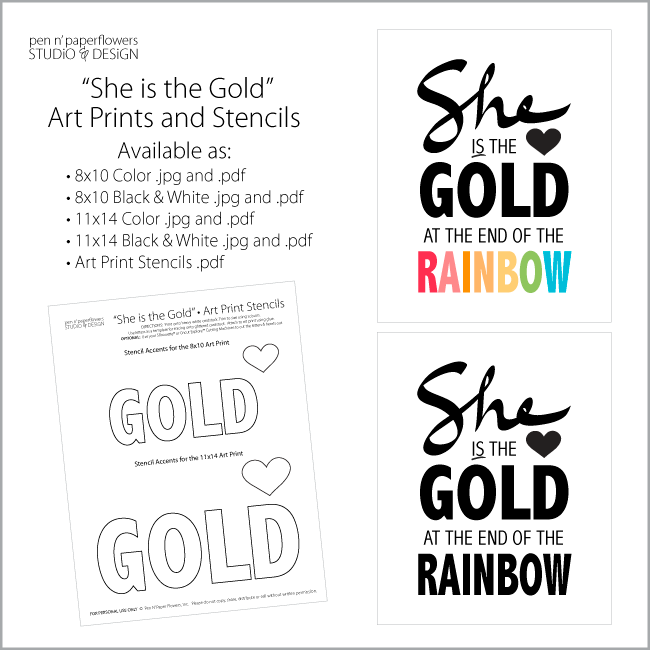 Use the stencils to trace the letters and hearts onto Shiny Gold Card Stock, Gold Glittered Card Stock, or Gold Glittered Adhesive Backed Card Stock and cut them out and glue them right over the word "Gold" and the little heart accent. OR…use the free .pdf I created with your favorite cutting machine like I did. The Silhouette® or the fabulous new Cricut Explore™ will make the job a piece of cake! 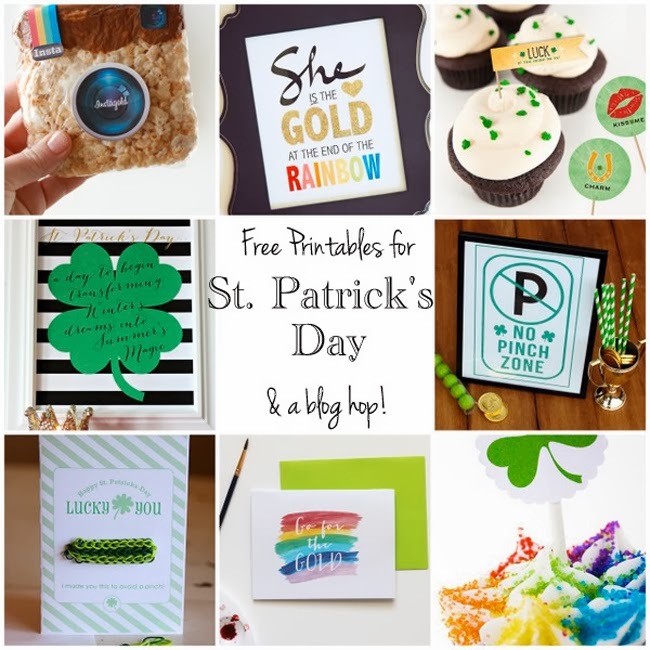 Now it's time to participate in the "Blog Hop" portion of this post by visiting each of these other fun FREE printables posted today from some of your favorite bloggers! Click on each of the links below! Hope you are having as much fun using these FREE monthly printables as I am creating them! Woo Hoo! I'm so happy to hear you liked the Art Print Beth Buss! If you print it out I'd love for you to come back and share your results with me! 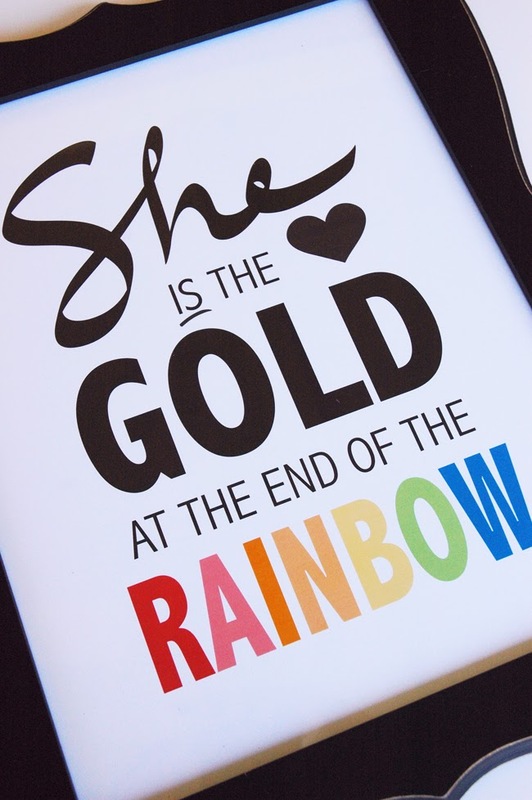 I love this printable! I think it is going to be so precious framed and hung in my little girl's room. Thank you so much for sharing! I am thrilled you love it! Thank you for taking the time to let me know! I am in love with this!! Thank you so much! Hi Billie - my response is delayed but regardless, I wanted to say thank you for taking the time to comment! And for sharing it! I'm so thrilled you love it! !